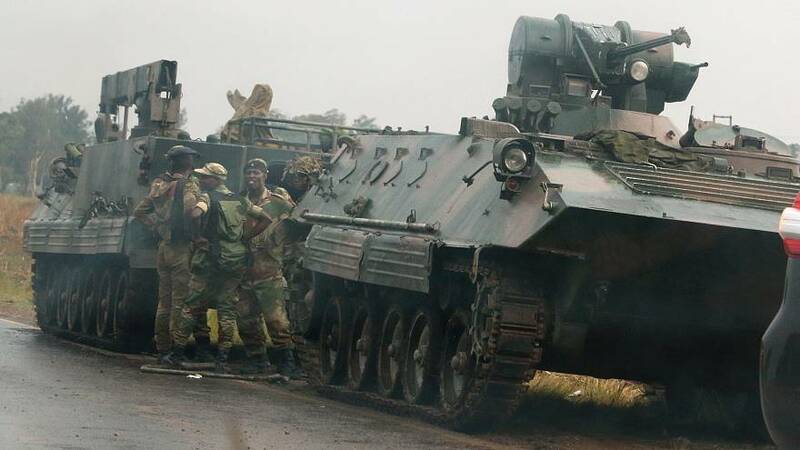 Tanks have reportedly been seen heading to the Zimbabwean capital as tensions rise between military and political leaders. Reuters news agency quotes witnesses who’ve sighted several armoured vehicles moving towards the Presidential Guard compound, that houses troops who protect President Robert Mugabe. It comes a day after the armed forces chief said he was prepared to “step in” to end a purge of supporters of a vice president sacked last week. His dismissal has been widely seen by senior military figures and beyond as a removal of independence-era figures to pave the way for Mugabe to hand power over to his wife Grace. The ruling Zanu-PF party has described the actions of the armed forces chief as “treasonable conduct”.